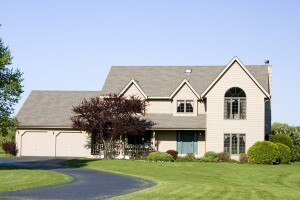 Where to Begin on Home Addition and Renovation Projects - Carpentry Unlimited, Inc. Whether you’re installing a new bar in the kitchen or doubling the entire size of your home, there’s always a few steps you’ll want to take before launching into a home renovation project. Making home additions and renovations can be a daunting task to begin, so it’s important to be prepared and have a plan for what you want to accomplish. You want to take into consideration the size of your changes, the configuration and style, the finish, and all the other little details that can’t be overlooked, all while remaining within local building ordinances of your neighborhood. When starting to work on your home, first establish how big a change you’ll be making. Depending on the scale of your home renovations, you may need to take extra considerations into account. For instance, large-scale additions and renovations might require the involvement of your plumber, HVAC technician or electrician. For minor changes, you won’t need to worry about these or building codes. Minor changes include anything from installing new cabinets to retiling a bath. Major renovations – projects like opening up walls to combine rooms and HVAC system overhauls – will require a little more effort. These projects will often require plumbers or electricians, as the plumbing lines or electrical circuits may need to move. These projects can also involve moving or removing bearing walls. Additions are another matter altogether. Either reconverting some unfinished space into a new room or adding a room can require thoughtful management and a reliable contractor. Attics, basements, garages or porches are all likely spaces to begin renovating. Regardless of the type, additions all require adhering to building regulations and codes. It’s important to carefully evaluate the kind of new foundation you’ll lay down, among all the other considerations on walls, frame, floor, and roofing. Depending on the scope, a building permit may also be required. Home additions are important not to mess up, so it’s vital you hire a qualified contractor to help you through the process.